The Force Concept Inventory (FCI) is a research-based multiple-choice test designed to assess student understanding of the most basic concepts in Newtonian physics. What learning is this evaluation activity designed to assess? Students come to formal education with a large range of knowledge, skills, experiences and beliefs that influence how they perceive the natural world and how they categorize and interpret it. Therefore, formal education is built from existing knowledge and preconception students bring with them. Physics education research has recognized that 1) this prior knowledge and understanding affects students abilities to reason, to acquire knew knowledge in a well-organized structure, and 2) its influence on physics instruction cannot be determined without careful research. As a result, a number of diagnostic tests, based on research on students understandings, have been developed. The purpose of these tests such as the Force Concept Inventory (FCI), attached here, is to help instructors discover and evaluate their students' commonsense beliefs and understandings. Specifically, the Force Concept Inventory (Hestenes,Wells,and Swackhammer,1992)is designed to help instructors discover and evaluate their students' commonsense beliefs in Newtonian physics. What is the nature of the teaching/learning situation for which your evaluation has been designed? It can be used for both research and instructional purposes. The FCI questions and possible answers are worded in a simple colloquial language and are developed using the finding of previous physics education research. When choosing an answer, students must choose between Newtonian concepts and commonsense alternatives. At CCNY we utilize FCI in introductory Physics courses and Physical Science courses for Science School Teachers both as a testing tool and to stimulate in class discussion among students to induce conceptual change. The goal of the FCI is to probe and asses the commonsense beliefs students have when studying introductory mechanics. With help of the FCI, instructors can then probe the conceptual knowledge of their students before and after instruction and use it as a diagnostic tool for evaluating and modifying instruction. What advice would you give others using this evaluation? Major research projects on students' conceptual understanding are necessary to develop this kind of diagnostic tests. What I find very powerful is that what can follow from research- or evidence-based approaches to teaching and assessing students: a shift of research focus from "what are we teaching and how can we deliver it?" to "in what context/preconceptual framework do we pick up our students?" Are there particular things about this evaluation that you would like to discuss with the workshop participants? Particular aspects on which you would like feedback? Hestenes, D., Wells, M., & Swackhammer, G. (1992). The Physics Teacher, 30, 141-158. Halloun and Hestenes. (1985). The Initial Knowledge State of College Physics Students, Am. J. Phys. 53. Halloun and Hestenes. (1985). Common Sense Concepts about Motion, Am. J. Phys. 53, 1056-1065. Join us for the 2019 Earth Educators' Rendezvous in Nashville! Join us for the fifth annual Earth Educators' Rendezvous in Nashville, TN, July 15-19! Co-hosted by Tennessee State University and Vanderbilt University, the Rendezvous brings together researchers and practitioners working in all aspects of undergraduate Earth education, including a mix of college faculty, graduate students, and K-12 teachers from all disciplines who are interested in improving their teaching about Earth. Drs. Nicole LaDue and Tim Shipley published a paper n the Journal of Science Education and Technology on the use of click-on-diagram questions, administered using a classroom response system, as a research tool for identifying spatial misconceptions. Read the article: https://link.springer.com/article/10.1007%2Fs10956-018-9738-0. 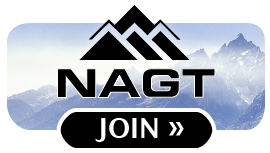 NAGT is seeking a qualified person to serve as the Association's Executive Director to begin August 2019. NAGT's mission is to support a diverse, inclusive, and thriving community of educators and education researchers to improve teaching and learning about the Earth. 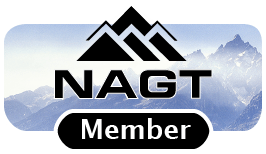 NAGT represents the collective voice of K-12 teachers, college and university faculty, and informal educators in museums and science centers who share a vision to build geoscience expertise and an Earth-literate society through high-quality education. We seek an exceptional Executive Director to build on past successes and to provide strategic leadership to guide NAGT toward new opportunities for growth. To learn more about the position and instructions to apply, visit this website. David McConnell of North Carolina State University published an article on InTeGrate in the latest issue of Earth magazine. Titled, "Making the first (and last) geoscience class count," the article calls attention to opportunities within introductory geoscience courses to address grand societal challenges that are rooted in the geosciences, thus helping students develop "an appreciation for the global perspective, cultural sensitivity and scientific insight that inform decisions regarding the challenges humans will face in the future." Reuse: This item is offered under a Creative Commons Attribution-NonCommercial-ShareAlike license http://creativecommons.org/licenses/by-nc-sa/3.0/ You may reuse this item for non-commercial purposes as long as you provide attribution and offer any derivative works under a similar license. Reuse: If you wish to use this item outside this site in ways that exceed fair use (see http://fairuse.stanford.edu/) you must seek permission from its creator. Value this site? Help us ensure its future. Your NAGT membership helps make this site possible. Thank you! 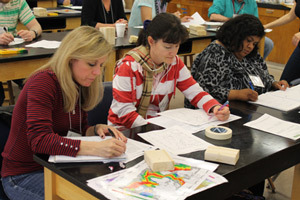 The On the Cutting Edge website and workshop program are supported by the National Association of Geoscience Teachers (NAGT). Your membership is helping to ensure that this site can continue to serve geoscience educators. Material on this page is offered under a Creative Commons license unless otherwise noted below. A standard license applies as described above. Click More Information below.